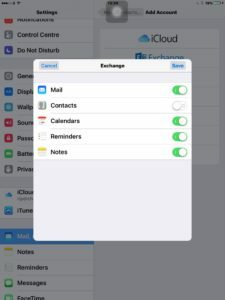 How To Setup an Exchange account on iPhone / iPad. First click the settings icon as shown below. 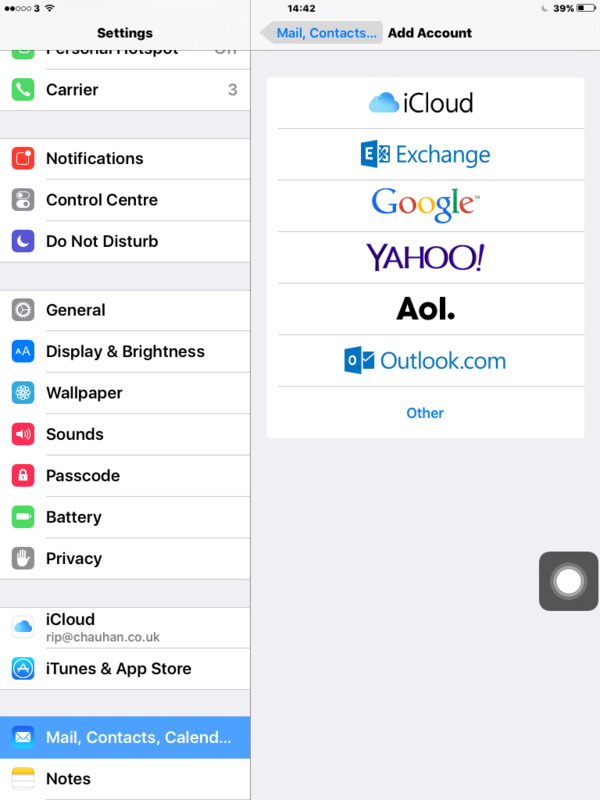 Then scroll down to where it says mail contacts etc click on mail,contact, calender…. Then click add mail account. Then click save and your all set if you however if you have a new Email address and this is the first time setting it up you shouldn’t have any mail in your inbox, but if it is one you have used before give it a few minutes to sync up. Once done, go back into the mail account and change the “Mail Days to Sync” to “No Limit” else you may only see the last 7 days of emails.